Be the first to hear about their new releases and deals. Download the Booksprout app and search for Jacinthe Dessureault today! 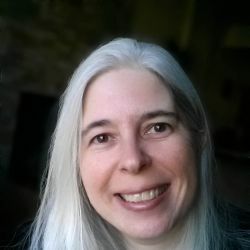 Jacinthe Dessureault loves to write humorous fiction, suspense, and mystery, with a hint of romance. She is a big fan of lemon meringue pie, waking up by herself before the alarm goes off, and the silly antics of Boonie and Jackson, her family's two adorable lop buns. As an independent filmmaker, she has written and directed a few short films and TV commercials, and written feature screenplays. She lives in Montreal, Canada.